L-R Shalon Holt, Nadalee Preston & Eddie Preston with their family pet. 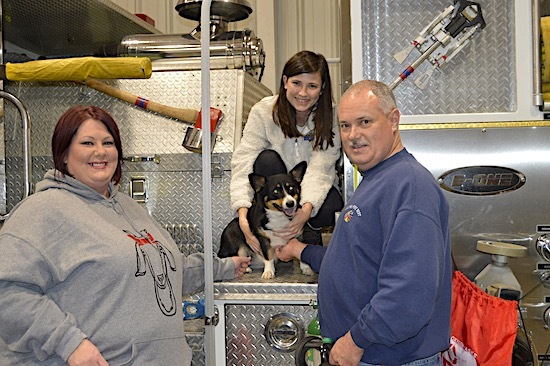 The Louisa Fire Department and Open Arms Animal Shelter would like to thank Invisible Fence of the Bluegrass for their donation of two pet mask kits. LFD will have one kit per station for the purpose of providing oxygen to any pet that may be suffering from smoke inhalation. 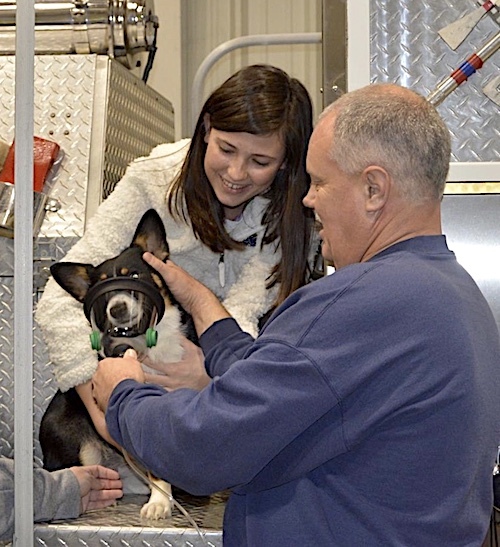 Project Breathe™ — a pet oxygen mask donation program designed to provide oxygen mask kits to fire departments and other first responders. Each kit includes a small, medium, and large mask; fire departments are eligible to receive one kit per station.